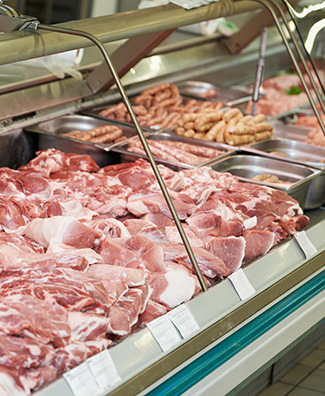 Your refrigerated retail display should do more than keep food and drink chilled. It should attract customers with stylish looks. Reduce waste, with excellent reliability. And save you money on your energy bills, with superior efficiency. With more than 50 years of refrigeration experience, we have the technology and design expertise to give you maximum value from your solution, on any scale. We also offer competitive rates – starting with a free site survey. Our retail refrigeration solutions provide the best in reliability, visual appeal and energy efficiency. From our base in Sheffield, we can design, supply, install and maintain your new system anywhere in the UK. Getting the right look for your retail refrigeration units is essential. We understand that visual appeal is key to attracting customers and fitting your brand. So we provide a vast array of options on finish, equipment size, form factor and more. You have more choice with Bradley Refrigeration. Our retail refrigeration solutions are custom-designed to deliver quality at a competitive price. Your food and drink products can be refrigerated to precisely the optimum temperature, so your customers can enjoy them at their best. It’s just another way we support your business goals. However diverse your retail refrigeration needs, we can meet them. Our clients include shops, supermarkets, convenience stores, cafes and bars. And we offer a wide choice of chilled and frozen display cabinets, multi-deck cabinets, wine cabinets, ice cream freezers, ice machines and others. We know the reliability of your retail refrigeration equipment is critical to your business. That’s why we offer cost-effective, scheduled maintenance plans that help prevent downtime. Should an issue arise, our skilled engineers are on call 24 hours a day to prevent costly food waste. Find out more about how we can meet your retail refrigeration needs, anywhere in the UK. Call our team in Sheffield on 0114 236 9971 or email us to book your free survey and estimate.